The court had on October 23 last year asked RCom to clear the dues by December 15, 2018, saying delayed payment would attract an interest of 12 per cent per annum. This was the second day when Anil Ambani was in court over the contempt notice. Telecom equipment maker Ericsson India on Wednesday alleged in the Supreme Court that the Reliance Group has money to invest in the Rafale jet deal but they were unable to clear its Rs 550-crore dues, a charge which was vehemently denied by the Anil Ambani-led company. Anil Ambani told the top court that with the failure of its assets sale deal with elder brother Mukesh Ambani-led Reliance Jio his company has entered insolvency proceedings and is not in control of the funds. Reliance Communications (RCom) told the court they had tried to move "heaven and earth" to ensure Ericsson gets its due but was unable to do so due to failure of assets sale deal with Jio. 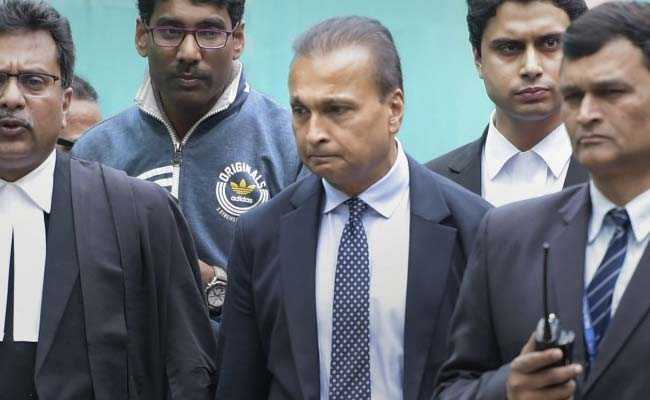 Mr Ambani, Reliance Telecom chairman Satish Seth and Reliance Infratel chairperson Chhaya Virani, were present in the courtroom for two consecutive days in pursuance of contempt notice against them. A bench of justices RF Nariman and Vineet Saran after hearing the arguments of all parties reserved its verdict on three contempt applications filed by Ericsson against Ambani, Seth, Virani and chairman of State Bank of India for not clearing its dues. Allegations and counter-allegations flied thick and fast during the nearly day-long hearing in which senior advocate Dushyant Dave, appearing for Ericsson, demanded the court order forensic audit of Reliance and other companies to unveil the alleged fraud committed by them. 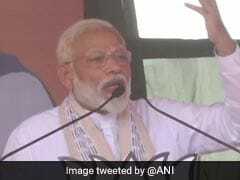 "They have money to invest in Rafale but cannot pay us our Rs 550 crore dues. They do not want to commit to the undertaking given to the Supreme Court. Somebody, who cannot pay Rs 550 crore to us is there in every conceivable deal," Mr Dave said. Referring to RCom's statements made to the stock exchange on August 23 last year, about the sale of assets to Reliance Jio for around Rs 5,000 crore, Mr Dave alleged RCom's stock prices rose by 2 per cent in a single day which totalled thousands of crores, but the company had not bothered to pay Rs 550 crore to Ericsson. "Now, they claim that they did not receive any money from deal mentioned in August 23 last year statement to the stock exchange. May be the gentleman has sold the assets without payment to his elder brother. But we don't know how much shares they sold by the evening after the stock prices rose by 2 per cent," he alleged. Mr Dave alleged these are a kind of scams and even the joint lenders forum led by SBI and the banks have acted in conspiracy to protect Anil Ambani. "We (Ericsson) have come to India to do business. We brought latest technology to Indian market. We are operational creditors. If banks keep protecting them then how can we do business. They fly in private jets and live in mega houses but they cannot return me Rs 550 crore. This is impacting us," he said and sought direction to SBI chairman to disclose on oath about the money received by RCom from assets sale. Ericsson claimed RCom committed gross and wilful contempt by violating two orders of the top court and not committing to the undertakings given by directors and Mr Ambani. Senior advocate Mukul Rohatgi, appearing for Anil Ambani, said there was no violation of the undertakings given in the top court and National Company Law Appellate Tribunal and there was no willful defiance of any order. He said NCLAT order of May 30 last year was conditional which said, if RCom fails to pay Rs 550 crore in 120 days to Ericsson then the insolvency proceedings would start automatically. "The payment of Rs 550 crore to Ericsson was subject to sale of assets to Reliance Jio. There was a deal with Jio for sale of assets for Rs 18,000 crore which includes Rs 5,000 mentioned in the statements given to stock exchange. This deal did not took off with Jio," he said. Rohatgi said RCom tried its best to make the deal happen but unfortunately talks failed in the top court itself when Jio refused to take its past liability. He said after sale of tower and other infrastructure to Jio, the company received Rs 780 crore which went straight away to the assets monetisation escrow account maintained by SBI. "That Rs 780 crore was paid to Department of Telecom as an annual subscription to keep the spectrum licence alive," he said and added that RCom had earmarked payment of Rs 550 crore to Ericsson from the sale of spectrum to Jio for Rs 975 crore but that deal also did not fructify. He said they have paid Rs 118 crore in top court registry and Rs 129 crore have come to a trust and retention account with SBI as income tax refund and Rs 134 crore more as IT refund has to come in coming days. "I can't say anything as after the start of insolvency proceedings everything goes. If the court thinks appropriate then it can direct SBI to release that amount in favour of Ericsson," Mr Rohatgi said. Senior advocate Kapil Sibal, appearing for Seth and Virani, said, "The allegation of Ericsson that we made money from 2 per cent gain in stocks, then we must say that the day we went into insolvency proceedings we lost Rs 15,000 crore". He said Ericsson is just an operational creditor, much below in pecking order of priority and court cannot pass order in its favour. Advocate Neeraj Kishan Kaul, appearing for SBI chairman, said he did not violate any court orders as he was made party only in the third contempt petition filed by Ericsson. He said there were no orders from the court or NCLAT that if RCom does not pay to Ericsson then "we will have to have pay". The court on October 23 asked RCom to clear the dues by Dec. 15, 2018, saying delayed payment would attract an interest of 12 per cent per annum.